Water is a central element in global affairs and the development agenda, with wide implications for international peace and security, according to UN Deputy Secretary-General Jan Eliasson. “Around today’s world, we see how a lack of access to water can fuel conflict and even threaten peace and stability,” Eliasson said while speaking at the World Water Summit held in London last week. He cited instances of conflict zones around the world where water was being used as a weapon of war. “On one trip in 2007, to the North of Darfur as we arrived in a village, we were met by a group of women chanting, ‘Water, water, water.’ The enemy militia had poisoned their well, they said,” he told summit participants. Eliasson added that rapid urbanisation had put huge pressure on water use and infrastructure, making water an increasingly scarce and expensive resource, especially for the poor and marginalised. “Demand for water is projected to grow by over 40 per cent by 2050. 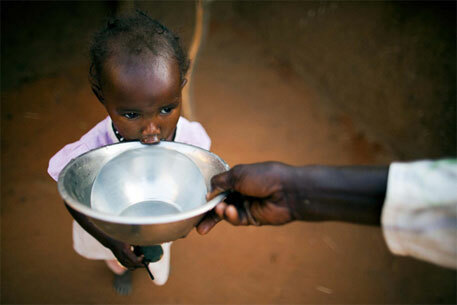 An estimated 1.8 billion people will soon live in countries or regions with water scarcity,” he said. He also said tensions over water would clearly be exacerbated by climate change but “we must not lose sight of the opportunities that water offers as a source of cooperation”. He called for smarter water management approaches, better waste management to protect rivers and more creative use of technology to “explore the frontiers” of desalination.